Jørgen Skatland graduated with a degree in architecture in 2011. He is currently pursuing his PhD in architecture at the Faculty of Architecture and Design, NTNU. His research project “Reconstructing knowledge integration in the construction industry” deals how epistemological unity manifest in the contemporary Norwegian AEC-industry. The projects pursues the problem both theoretically and empirically by analysing what characterise acts and information that are universally recognised across different professional agencies, despite their different stakes, aims and educational backgrounds. By developing methods for analysing and describing the knowledge component of building information; the research finally aims to apply the insights found strategically back into the industry. Jørgen has been teaching studio courses in architecture at the Faculty of Architecture and Design since 2011, and is a member of the Urban Trigger research group.  Building codes are descriptive texts that reflect societal consensus and convey societal agency on the built environment. These texts represent an available, empirical source on a societal component of the built environment, containing expressions of enforced social necessities embedded into buildings and spaces. By carrying out content analysis based on two sets of parameters, we performed a re-reading of the Norwegian Planning and Building Act and the corresponding Technical Regulations. One parameter set specified topics, i.e. internal categories in the regulations. The other set assigned modal force to normative descriptions, from recommendations and advice to explicit, quantified regulations. Visualised as a diagrammatic plot distribution, the analysis combined quantitative (number of plots per topic) and qualitative (modality of statement) perspectives. Our ambition was to investigate and express differences between topics present in the legal texts and their translation into functional demands. The approach provided an analytical toolset that allowed us to discuss the juxtaposition of technical, aesthetic and social values. Based on their expression in building regulations, it can logically be claimed that these values directly affect the whole life cycle of buildings and other elements in the built environment.